LIMITED TIME: Regularly $15.95, Now $9.57! Explores the extraordinary technique that put authentic healing into the hands of health care providers. 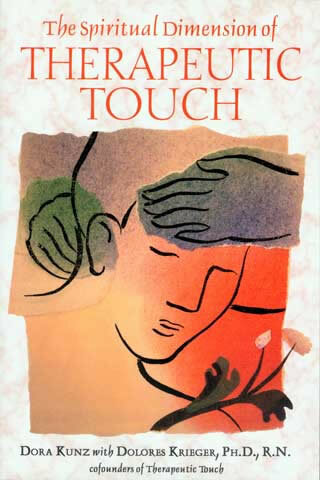 Therapeutic Touch is a powerful technique for re-balancing the body's energy through touch, visualization, and spiritual acceptance of life's inevitable cycle. Developed by Dora Kunz, medical intuitive and fifth generation clairvoyant, and Dolores Kreiger, pioneer researcher on the dynamics of healing. It has been taught in hospitals and at universities to tens of thousands of health care professionals since 1972. This book examines the dynamic interrelationship between healer and patient and the vital role of expanded levels of consciousness as they relate to the healing process. It provides an intimate glimpse into the life work of Dora Kunz in an engaging series of her never-before-transcribed lectures and case studies, accompanied by insightful commentary from Dolores Krieger. During their years of shared research and healing practice, the authors found illness to be rooted in specific subtle energy imbalances. They developed a transpersonal energetic approach to healing physical pain using centering and self-awareness practices. 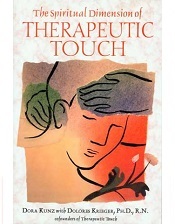 The practices and exercises they share in The Spiritual Dimension of Therapeutic Touch will help practitioners achieve the sensitivity and spiritual empathy necessary to effectively access and respond to energy imbalances in themselves and in their patients, to promote physical healing as well as mental and spiritual peace.